We discovered a wonderful organic winery here in Sparta the same way we’ve discovered great food and wine producers all over California: by taste. 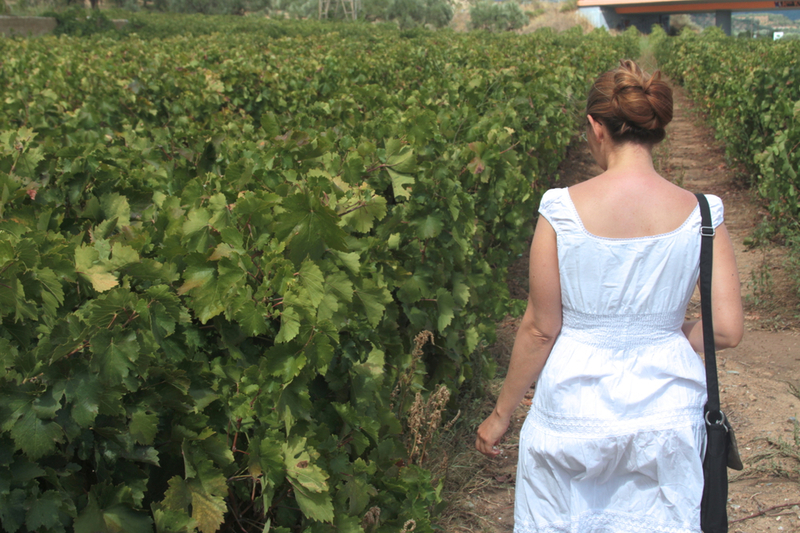 We have been exploring organic local wines while in Sparta (it’s a tough job, but somebody’s gotta do it). One of the wineries really stood out for us based purely on the quality of the wine. 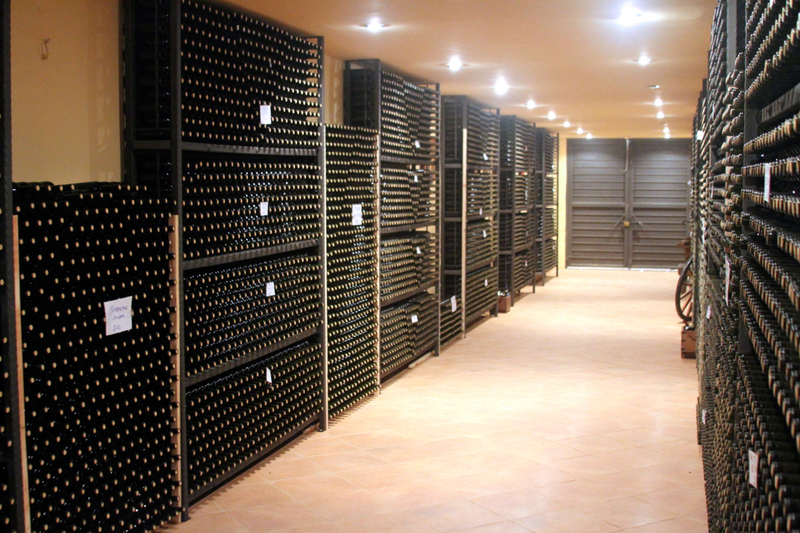 The winery is called Estate Theodorakakos, and it’s located just outside Sparta. Our friend Kostas arranged a tour of the winery and joined us in the tour. 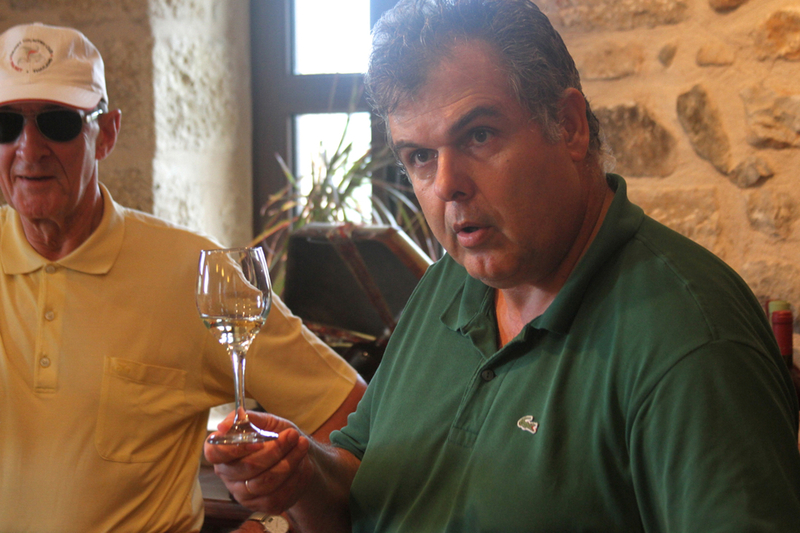 The vigneron and winemaker, Georgios Theodorakakos, personally gave the tour and answered all of our questions, with Kostas translating everything. The winery is family owned, and it started more than a century ago. Although the vineyard always avoided pesticides and herbicides, they didn’t get an organic certification (called “biological” in Europe) until 1996. The Laconia region (the area around Sparta) has been a grape-growing and wine-making region for at least 4,000 years, predating the foundation of Ancient Sparta by more than a millennium. Tragically, the Ottomans suppressed winemaking with punitive taxation when they ruled Greece from 15th century until 1821. 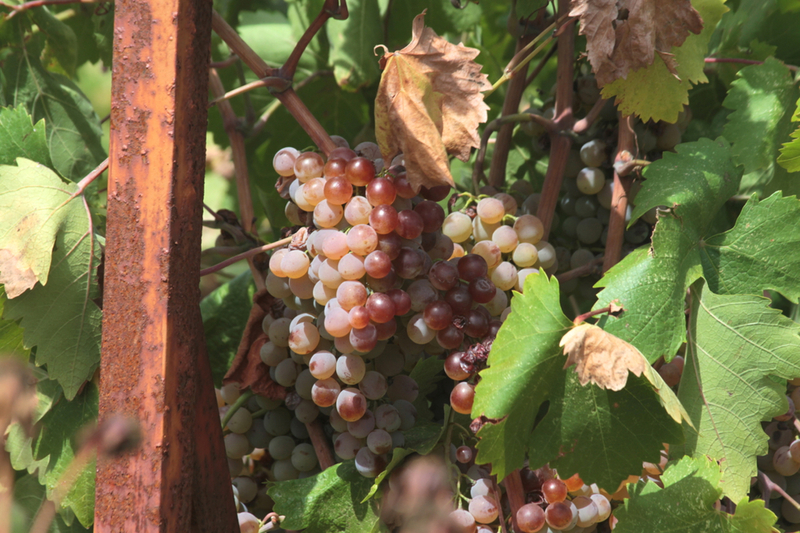 Laconia’s vineyards mostly died off and Byzantine-era Greek winemaking methods were lost. One of the most exciting things about Estate Theodorakakos is that they focus on local grape varieties, some of which are cultivated only in this area, including Kydonitsa and Mavroudi. Kydonitsa, a widely use variety in ancient times, was actually discovered growing wild in Laconia, and rehabilitated at Estate Theodorakakos. 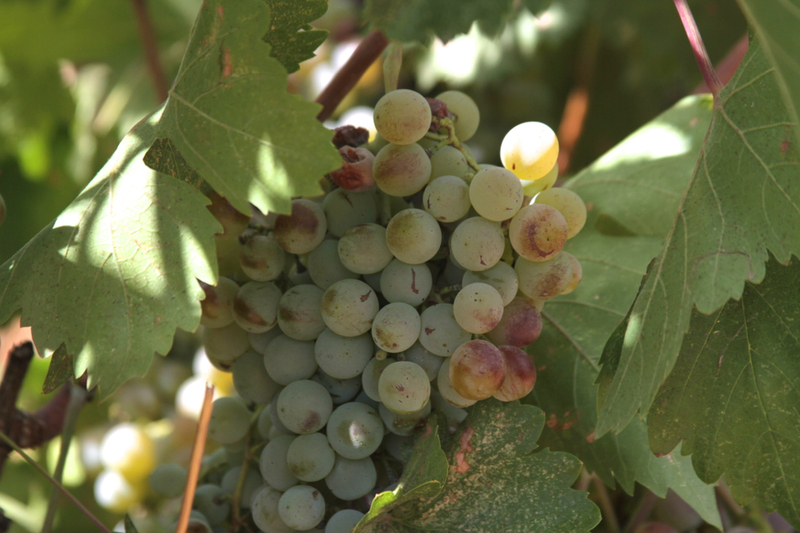 The winery uses other ancient Greek varieties, including Monemvasia, Thrapsa, Assyrtiko, Roditis and Agiorgitiko. Most American wine drinkers have never heard of any of these grape varieties. So the fact that you can buy Estate Theodorakakos wines in the United States is something everyone should take advantage of. These are what Estate Theodorakakos labels look like for wines exported outside of Greece. Estate Theodorakakos wines are also sold in the UK, Luxembourg, Czech Republic, Japan and China.